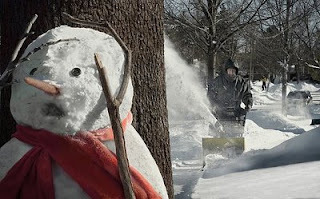 This is a dangerous situation for Frosty the Snowman. He could be attacked and finished any minute now. Good that he has found a tree. Is that a stick in his hand or a gun? Could be a dangerous snowman.